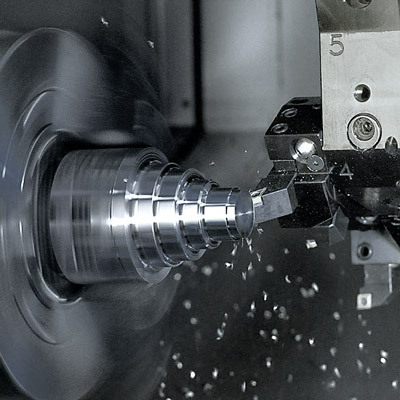 To stay competitive, the Swiss grinding machine manufacturer Hardinge Grinding Group needed to shorten its production cycle times to increase flexibility in the production processes. FANUC package solutions provided the right controls and drives technology solutions for all configurations, which can be handled through the personalised user interface. Swiss precision at shorter cycle times through fast and flexible retooling, thanks to FANUC CNC 31i-B and Panel iH Pro in combination with the Kellenberger machine. The control and drive technology of FANUC is an essential component of the modular concept. The key to this is platform concepts: The customer benefits from a modular machine design with standardised components in terms of costs, flexibility with specific design, delivery time and availability as well as maintenance. A particularly suitable example of this is the recently developed Kellenberger 100, a universal cylindrical grinding machine that replaces the Kellenberger Vista and Vita, Tschudin T25 and Jones & Shipman Ultramat CNC and Ultragrind 1000 machine series without the user having to do without any functionality. Rolf Wald, Head of Product Management at Hardinge Grinding in Europe, explains: "According to our definition, the new Kellenberger 100 serves the entire middle segment of cylindrical grinding, whereby we continue to attach great importance to high quality and durability." Depending on the application of the corresponding components, the universal cylindrical grinding machine can be configured as a simple single-part machine, which is used, for example, in tool and mould making, right up to a highly equipped production machine with attached loader. This new platform was made possible by Kellenberger's high level of development expertise and vertical integration of up to 80 percent, so that all quality-relevant components can be manufactured at the St. Gallen site. In order to optimise the assembly of such a versatile machine, Kellenberger also switched to synchronised stand assembly, which offers a high degree of flexibility and guarantees short delivery times. Rolf Wald, who has been responsible for the sale of Kellenberger machines since 2000 and has been employed directly by Kellenberger since 2009, emphasizes the new grinding head concept on the machine side: "With a single, very compact basic design, we can display ten different grinding heads that always move collision-free, from the simple to the highly complex variant." Product Manager Rolf Wald is convinced of the success of the Kellenberger 100: "The user benefits from the platform concept and the consistent support in the form of a newly designed man-machine interface." With a single, very compact basic design, Kellenberger can produce ten different grinding heads - from the simple to the highly complex variant. In combination with different workheads, tailstocks and axle drives, Hardinge can meet almost any customer requirement with the Kellenberger 100, especially as the machine is available in lengths of 600 and 1000 mm. Another highlight, mentioned by Rolf Wald, is the drive and control technology used: "It must be suitable for every machine variant and must be supplemented by a man-machine interface that ensures the simplest possible operation. Here we have found a perfect solution with the FANUC CNC 31i-B and the 19" touch panel. The generally high reliability of FANUC controls also fits exactly to the quality requirements of our machines". Bernard Gschwend, Head of Technology at L. Kellenberger & Co. AG, completes: "Thanks to many years of cooperation with FANUC in the universal cylindrical grinding machine segment, we know with certainty that the FANUC 31i-B control meets all performance expectations of a universal cylindrical grinding machine such as the Kellenberger 100. FANUC's experience in grinding is also reflected in the drive and control technology used. The drive control is very precise, which enables precise profile grinding. Among other things, an interpolation function is also included, with which Kellenberger can easily implement non-circular grinding. "In addition, the speed of the 31i is also suitable for production grinding," Bernard Gschwend mentions. In his opinion, a greater challenge was "that the simple design offers the same attractive price/performance ratio as the most technically demanding variant". Michael Platz, Key Account Sales Engineer at FANUC Switzerland, explains the solution: "We have put together four drive and control packages for Kellenberger, which are used depending on the axle design. They differ in engine performance and some special features - and in price." With regard to the cooperation, Product Manager Wald confirms: "We have cooperated intensively and very successfully with the experienced FANUC employees from the Swiss branch in Biel. They have worked with us and alongside us on site to find solutions, especially with regard to the man-machine interface. Where necessary, quick help also came from the servo or CNC laboratory at FANUC headquarters in Japan." Kellenberger is the first Swiss machine manufacturer to use the new 19" touch screen, which Kellenberger designed for intuitive operation. Gschwend, Head of Technology: "We have done a lot of preparatory work and, together with the Fraunhofer Institute, determined the requirements for the terminal and its operability. FANUC then created the necessary basis to implement our ideas." The result is an interface with its own Kellenberger interface that makes the machine easy and safe to use in everyday life - and is based in the background on FANUC cycles or self-written macros. Future embedding in Industry 4.0 concepts is also ensured. The integrated OPC UA interface enables bi-directional communication so that the machine can not only output information, but also receive it from external sensors. 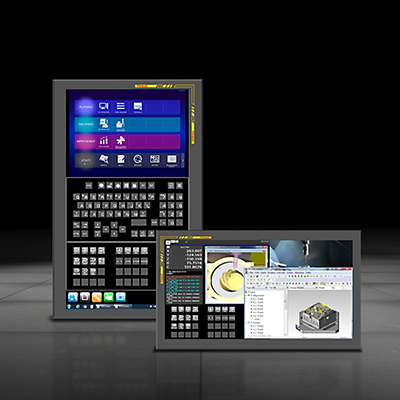 Kellenberger developed a user-friendly user interface based on the FANUC CNC 31i-B and the 19" touch panel. The user has the choice between two programming modes: a newly designed cycle programming and workpiece-related, graphical programming. Both variants do not require any ISO programming knowledge. For Rolf Wald, this is a clear strength of the Kellenberger 100: "The user benefits from consistent support in a newly designed user interface and can thus quickly find the first suitable component even for individual parts. An integrated automatic technology calculation also contributes to this." It is clear to see that the operator's work should be made as easy as possible. After all, Kellerberger not only wants to conquer the European market with its new platform, but also Asia and the USA. 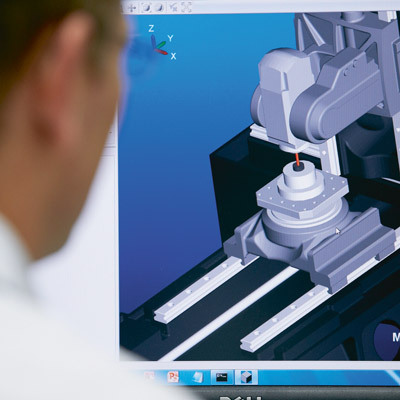 For Product Manager Wald, FANUC control is also important here: "In my opinion, no other CNC supplier enjoys such a high international reputation as FANUC." Kellenberger is a traditional company with a 100-year history. The first universal cylindrical grinding machine was built as early as 1918. Until 1995 Kellenberger was a family business for three generations. Under the management of Jürg Kellenberger, the company was sold to Hardinge, an American company with around 1500 employees worldwide. Hardinge covers the areas of turning, milling, grinding and clamping systems. Kellenberger in St. Gallen is the main location of the Hardinge Grinding Group with approx. 250 employees and is responsible for all grinding products. In addition, there are locations in Biel/CH, Shanghai/CN, Leicester/GB and Elgin/USA with a further 200 employees. Universal cylindrical, internal cylindrical, production and jig grinding machines are manufactured. Each FANUC CNC model can be equipped with a wide range of optional panels and screen solutions to give you a rich variety of configuration options and the ability to fully live out your machine design concepts and ideas. Regardless your challenge, FANUC CNC controls up to 48 axes with utmost precision. This new addition was designed for ultimate usability. With its widescreen LCD, it supports both portrait and landscape orientation. It is equipped with a precise capacitive touch screen, which provides excellent usability and allows smartphone-like intuitive operation.